The Doorbuster Deals are significant but not as visible as the traffic stopping red Free Fuzzy Socks Entry Chalkboard Header. Now that’s an offer you won’t find everywhere. The splash of red is the attention compeller. 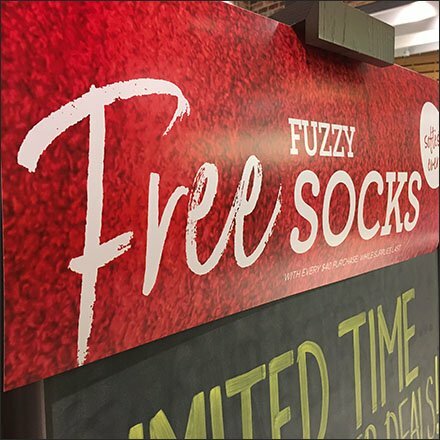 After that its up to the fuzzy socks and line item offers to draw in customers. Chalkboard allows easy change of offers. Casters provide mobility.